BC UMSC will take place April 25th - 27th, 2019 at Simon Fraser University (Burnaby Campus). This inaugural event will provide Mathematics and Statistics Undergraduates with an opportunity to showcase their research, expand their learning, and connect with peers and professionals in the industry. 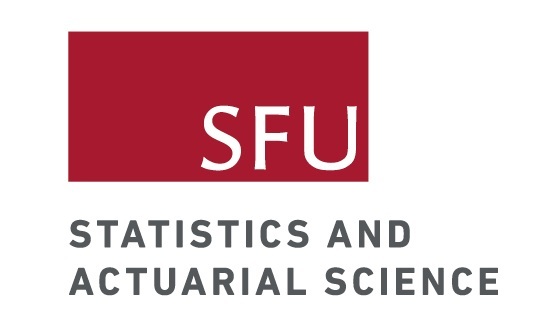 We are targeting all Mathematics and Statistics Undergraduates from British Columbia and aim to accommodate 75 students that are willing to present their research. The focus of this conference is for undergraduate students to present their research. In addition to student presentations, we will have professors and industry professionals speaking on their work in the field. For more information about our key note speakers, click here. BC UMSC has partnered with SFU’s Scientific Study Group (SciProg) to organize a few of the workshops for our participants. Students will be able to enhance their learning by participating in software programming, introduction to data science, and paper writing workshops throughout the conference. Our workshops will be led by students and professors, and work with softwares such as R, Maple, Python, and Git. Following a key note presentation on the principles of data visualization, students will be challenged to produce a visualization from a real-world data set. Students will be assigned to teams so that they are given a chance to collaborate with peers from different universities and disciplines. Once presentations are assessed by our judges, the winning team will receive a cash prize. In addition to formal networking sessions, a variety of engaging and enjoyable activities will take place throughout the conference such as a trivia night and exploratory excursions. We want to provide undergraduate students in Mathematics and Statistics with an opportunity to meet other students, professors, organizers and industry members who have similar interests and goals. These networking events will help passionate undergraduate students to gain confidence and build connections with fellow peers. We acknowledge that this event is taking place on the ancestral, traditional, unceded and occupied Indigenous territories of the səlil̓wətaʔɬ (Tsleil-Waututh), Sḵwx̱wú7mesh (Squamish), and the hən̓q̓əmin̓əm̓ speaking xʷməθkʷəy̓əm (Musqueam) peoples.